Front and rear gardens broken up into garden rooms incl small kitchen garden. Front garden incl small woodland area, planted with early spring flowering shrubs, ferns and bulbs including snowdrops. 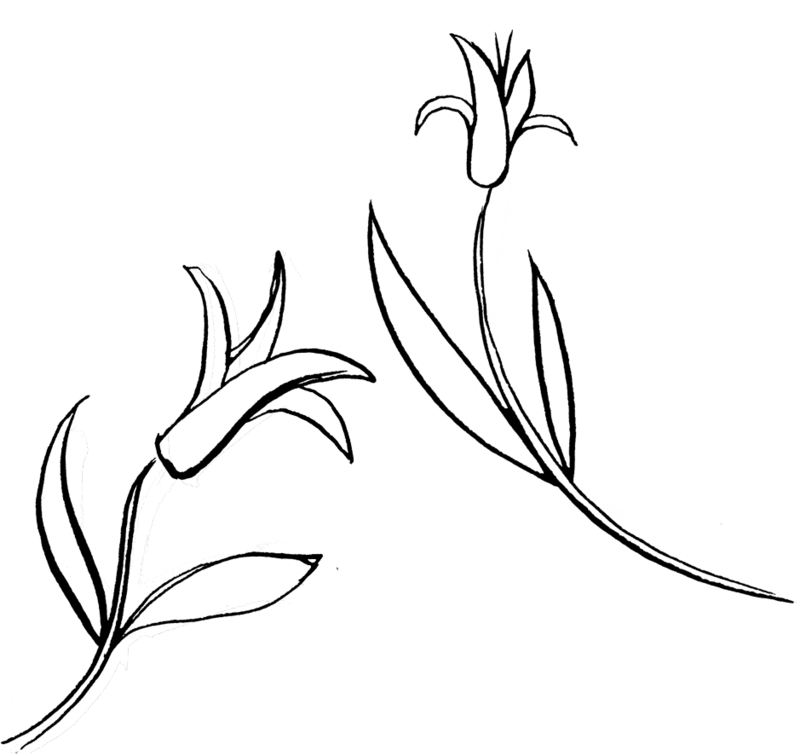 White garden, large leaf border and terraced area. Rear garden has mirror borders, small decorative vegetable garden, red border and grasses border. 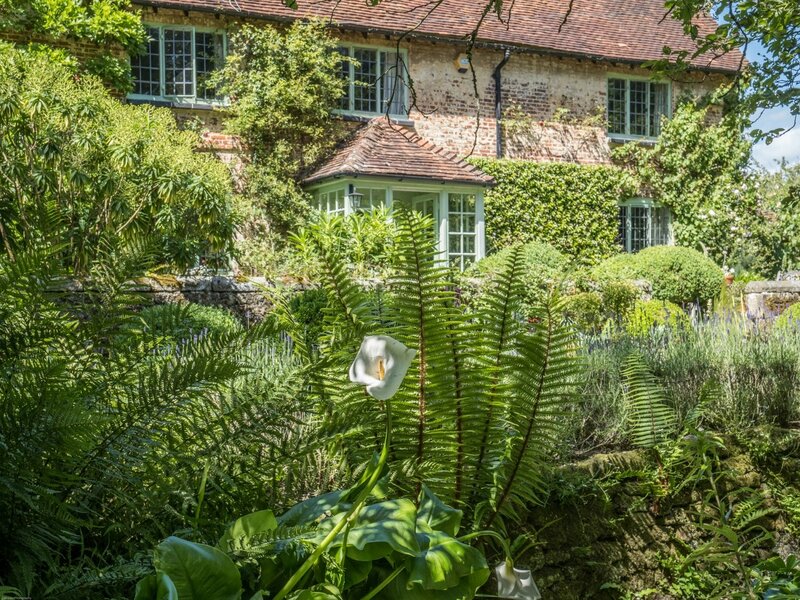 Home of author and principal of The English Gardening School. 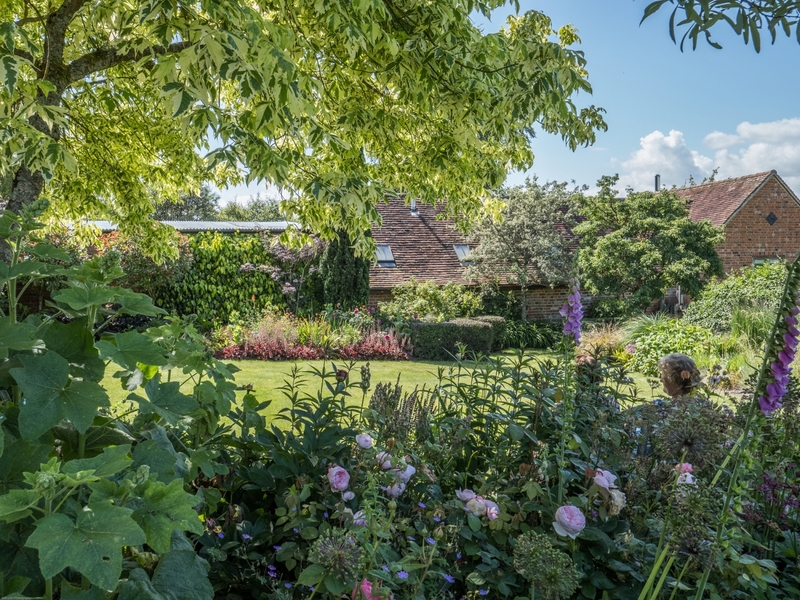 Although only just over an acre, and divided into 2 gardens lying on either side of the house, there are many different, contrasting and inspirational areas within this small space. 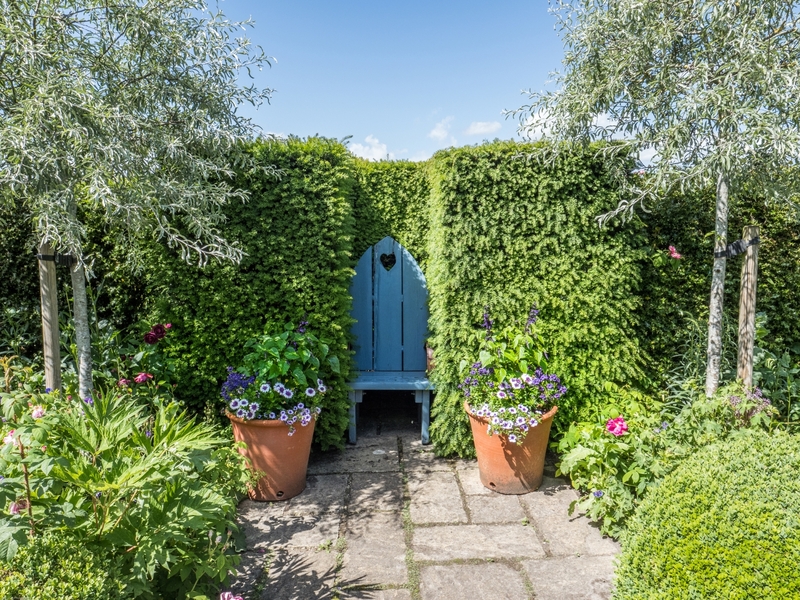 A compulsive plant collector, Rosemary Alexander VMM (Rhs), (Principal and owner of the English Gardening School) has amassed interesting and unusual groupings of plants for each area. 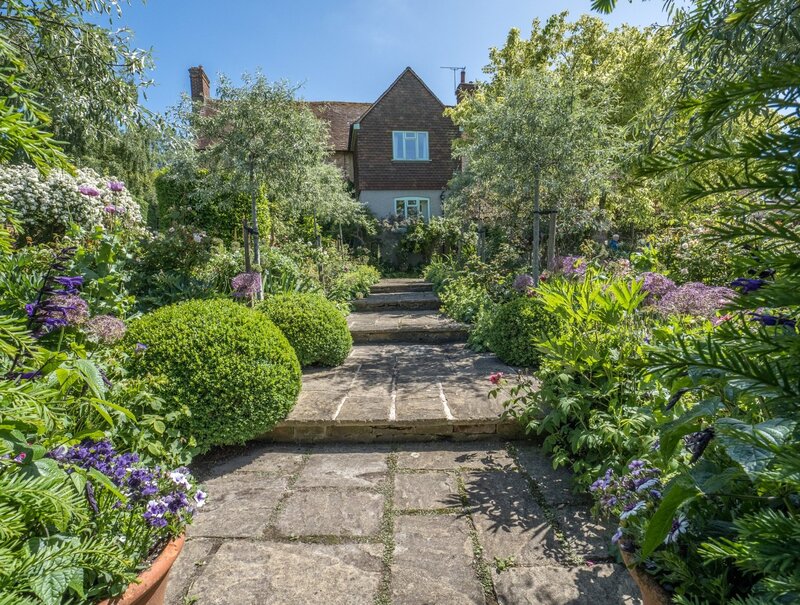 Approached by an opening cut through a beech hedge there is a green and white border with topiarised Phillyrea, a wide gravel path is edged with Box balls, thyme, Helianthemum and Libertia grandiflora, ending in a large leaf border with a red Chinese style bird table. 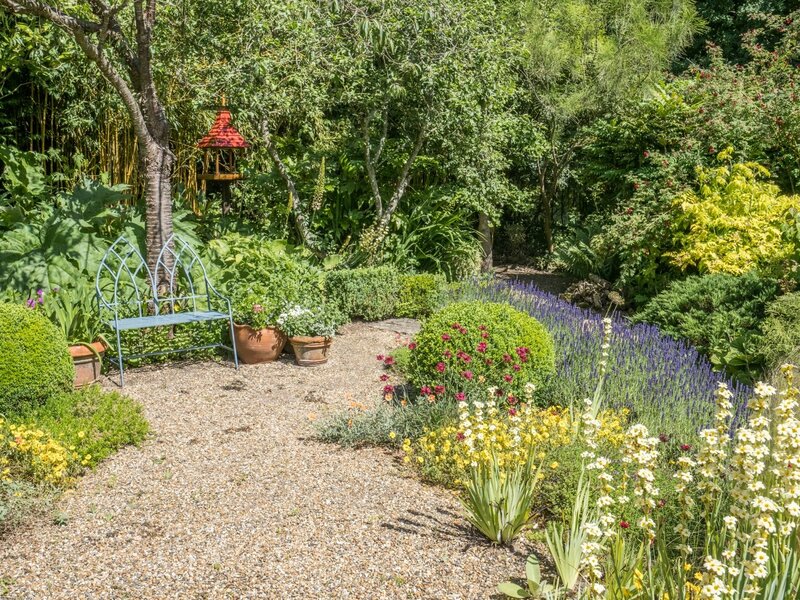 A lavender hedge separates this part of the garden from the woodland area below, with a new stumpery and a collection of ferns and plants chosen for their varied leaf forms and spring and autumn colour. 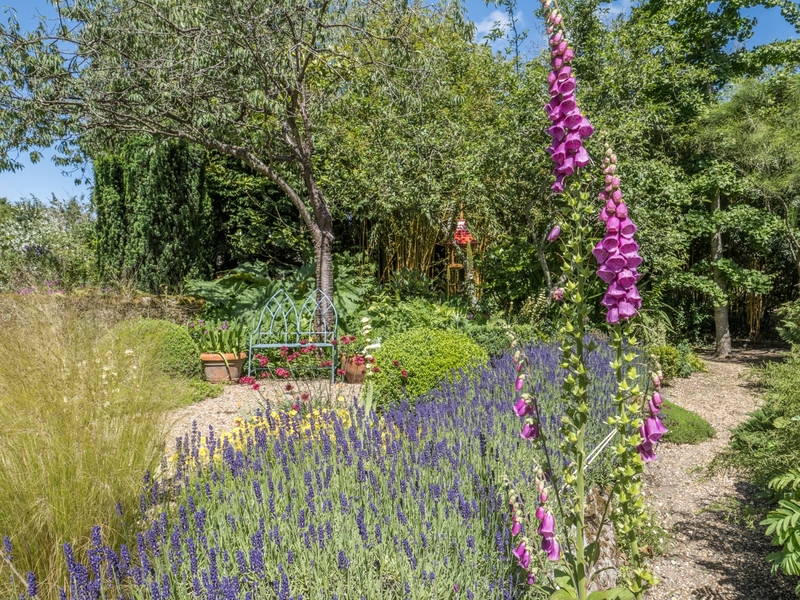 A ‘grit’ or dry garden surrounds the terrace. 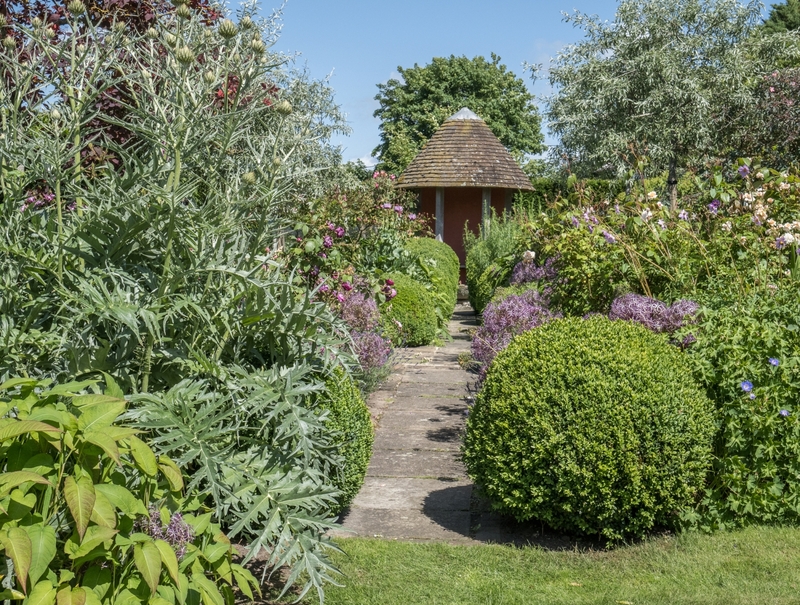 The rear garden has a potager and small summerhouse, a double rose border, a grasses border, plus a border with half standard Photinia fraseri 'Red Robin' and perennials in orange and red colours inspired by the brick wall behind. Cottage area planted with 3 native Acer campestre and multi-stemmed Betula (Silver Birch). Border area there planted with Hebe vernicosa used as structure planting, and as an alternative to disease prone Buxus. Wildlife boundary hedge. The China rose R. ‘Crimson Bengal’, which flowers 9 months of year,and R. Pierre de Ronsard planted by porch door. Garden featured in The Garden RHS magazine (Feb 2013) written by Andy Sturgeon, photos by Marianne Majerus; 2011 edition of Saga magazine written by Vanessa Berridge, photos by Clive Nicholls; Gardens Illustrated (Sept 2010), written by Matt Wilson, and book Female Gardeners with photos by Elke Borkowski 2016. From A272 Xrds in Rogate take road S signed Nyewood & Harting. Follow road for approx 1m over small bridge. Sandhill Farm House on R, over cattle grid. 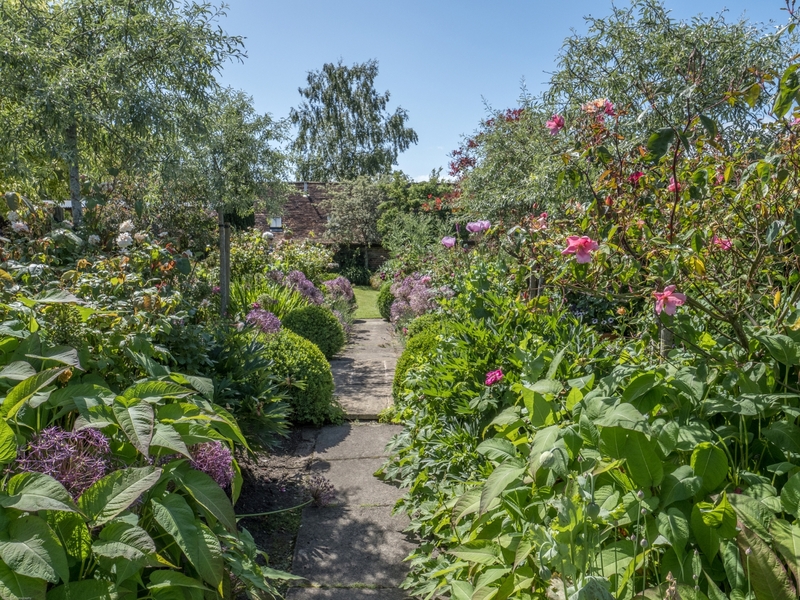 The garden has gravel paths and a few steps not easily negotiated in a wheelchair.